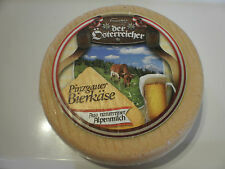 Buy here 1kg Waldviertler Farmhouse Cheese from sheep. Cheese made from pure sheep milk, gekäst with care. This hard cheese is ideally suited for cold appetizers and cheese plate. 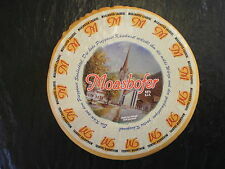 You are purchasing about 0,500 kg on the Moashofer Loaberl from the Pinzgau. The Cheese is going to ranging from Pinzgau Milch old recipe made. Brand Pinzgau Milch. 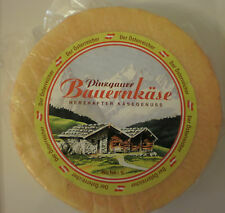 Buy here 0,5 kg Waldviertler Farmhouse Cheese from sheep. Unit Quantity 0,5. Cheese made from pure sheep milk, gekäst with care. This hard cheese is ideally suited for cold appetizers and cheese plate. You are purchasing approximately 1,700 kgTyroler Mountain cheese from the Pinzgau. The Cheese is going to ranging from Pinzgau Milch old recipe made. Brand Pinzgau Milch. Here you buy half a loaf of Pinzgauer Farmer cheese with about 0,8 kg. Unit Quantity 0,8. The price per kilo is 13,00 € . Cheese Farmhouse cheese. Cheese Type Sliced Cheese. Unit Quantity 0,5. 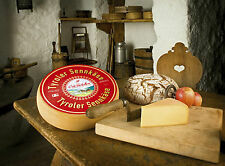 Buy here 0,500 kg Waldviertler Smoked Cheese from sheep. Cheese made from pure sheep milk, gekäst with care and smoked. This hard cheese is ideally suited for cold appetizers and cheese plate. You are purchasing a piece with about 1,000 kg Salzburger Emmentaler from the Pinzgau. The price per kilo is 12,00 € Cheese Type Sliced Cheese. The cheese is divided by us in 1 kg of pieces. 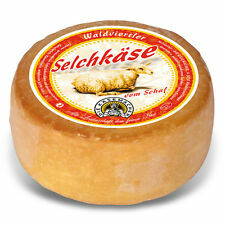 The price per kilo is 22,80 € Buy here 1kg Waldviertler Smoked Cheese from sheep. 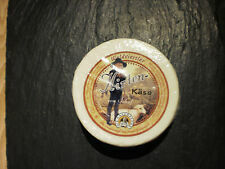 Cheese made from pure sheep milk, gekäst with care and smoked. This hard cheese is ideally suited for cold appetizers and cheese plate. You are purchasing 1,000 kg spicy Bergtilsiter from the Pinzgau. The Cheese is going to ranging from Pinzgau Milch old recipe made. Brand Pinzgau Milch. You are purchasing 0,5 kg spicy Bergtilsiter from the Pinzgau. Unit Quantity 0,5. The Cheese is going to ranging from Pinzgau Milch old recipe made. Brand Pinzgau Milch. Here you buy half a loaf of Pinzgauer Farmer cheese with about 1,6 kg. Unit Quantity 1,6. The price per kilo is 13,00 € . Cheese Farmhouse cheese. Cheese Type Sliced Cheese. The cheese becomes by a small Dairy in Vinschgau in the Village Burgeis in the old tradition produced. You are purchasing 3,000 kg spicy Bergtilsiter from the Pinzgau. The Cheese is going to ranging from Pinzgau Milch old recipe made. Brand Pinzgau Milch. Add these stainless-steel cheese makers to each of the cheeses being displayed to help guests identify each cheese with ease. Professionals choice for presenting multiple kinds of cheese. This sale is for ( /-) 425 grams of Topo Cheese from Sao Jorge island - Azores. Cured semi-hard paste cheese, with yellowish color, with small irregular eyes disseminated in the mass of firm consistency, with the cylindrical shape of rounded edges. You are purchasing approximately 3,500 kgTyroler Mountain cheese from the Pinzgau. The Cheese is going to ranging from Pinzgau Milch old recipe made. Brand Pinzgau Milch. Contains egg. Most of this type of products are either Portuguese or are manufactured in Portugal. They are quality products and recognized anywhere in the world.